The family of a Georgian pilot Soso Osorauli, who was captured by the Congolese rebels in January 2017, continue to accuse the Georgian government of indifference, as “they fail to achieve the release” of the pilot. “My brother is alive, and he needs help,” - said Gia Osorauli, brother of the pilot. He said that he has recently visited several countries, has many sources, updated information and evidence that his brother is alive. “My brother is kept in captivity together with Belgian and Romanian citizens,” he said. The Human Rights Center, which protects the interests of the family, says that the Ministry of Foreign Affairs of Georgia has handed over materials to the Prosecutor's Office for investigation. “The Prosecutor's Office, in turn, has been applied several times to grant Osorauli’s family a victim status. The Human Rights Center demands: the Government of Georgia to take specific steps to protect its citizens; Under the supervision of the Prime Minister, set up a special joint working group, with the participation of the Ministry of Foreign Affairs, the Security Service, the Ministry of Internal Affairs and the Prosecutor's Office and the missing pilot’s brother Gia Osoraul. The Prosecutor's Office of Georgia shall ensure that the case is investigated effectively and declare Osorauli’s family members as victims,” the NGO says. The government of Georgia claims in turn that they have been doing their utmost to find out the fate of the pilot. “We are working in every direction within the legal grounds, including investigation and diplomatic channels,” Defence Minister Levan Izoria stated earlier. In late May, 2017, the Foreign Ministry of Georgia held a special briefing, saying there were rumors that an attack took place between the opposed parties in Congo and Osorauli was killed, but they added the information had not been confirmed officially yet. In June 2017, one of the friends of Soso Osorauli stated that the pilot was alive and the rebels were requesting the release of General Bosko Ntaganda in exchange for his freedom. 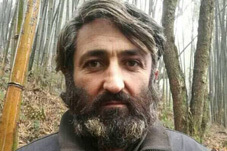 After a month, Georgian channel Iberia TV released a video of Osorauli addressing his family members and asking them not to believe the accusation that he killed many people. Since then no official information about the Georgian pilot has been released.